Gymnastics, swimming, dance, martial arts, basketball, football… There are already many choices available to parents for physical, movement-based extracurricular classes for their children. What makes yoga different? And what are the benefits for yoga for children? Yoga is an ancient science which helps to create health and well-being by building awareness, strength, and flexibility in both mind and body. Yoga is an egalitarian practice, bestowing its benefits on every practitioner, regardless of his or her physical abilities. Yoga postures, or asanas, are practiced by people of all ages and in many different states of health and fitness. Practitioners have been long been attesting to the benefits of yoga including stress and pain relief, improved circulation and digestion, better body alignment, increased concentration, deeper, more relaxed breathing, and a sense of well-being and inner peace. The question is: does yoga hold these benefits for children as well? At Yogalinda, the answer is Yes, and more! 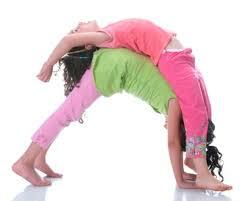 Yoga for kids is a fun way for children to develop important skills in a fun, non-competitive environment. Even at a young age, children often feel pressure at school academically and socially, plus the added pressure of competitive organized sports. It is easy for girls and boys to become overly self-critical, and lose confidence in themselves as they grow and change. Yoga is a great remedy; there is no judgment in a yoga class about how a child does a pose or plays a game. Doing a pose ‘perfectly’ is not the aim of yoga, which nurtures a child’s inner strength and self acceptance. This nourishing atmosphere encourages children to relax and have fun while they develop not only strength, coordination, flexibility and balance, but also body awareness, better focus and concentration, and self confidence. In fact, a 2003 study by the University of California of children in a Los Angeles school found that children who had frequent yoga instruction saw significant increases in children’s self esteem, as well as overall fitness, academic performance, and even a decrease in discipline problems as students felt more relaxed and were more respectful of their peers! During Kids Yoga classes, there is a balance between spontaneity and structure, so that children learn to listen to themselves and each other as well as express themselves creatively. Interweaving story, song, games and poses, children learn in a multi-sensory environment, exploring kinesthetic, visual, and aural learning. Children are also encouraged to respect and pay attention to their bodies, making sure each pose feels good and coming in and out of positions when they feel ready (something most adults have a hard time doing!). As children grow and their bodies change quickly, this becomes an important skill. But what makes yoga classes different from other movement-based activities incorporating music and games, like gymborees? Besides the immense physical and mental benefits, a central tenet of yoga practice is respect and honor: for ourselves, for each other, and our environment. In a yoga class, children often go on a magical journey around the world, and learn about many cultures and places. Since many of the yoga poses are of animals, children also learn about different animal habitats, endangered species, and even recycling! We have classes of yoga for the very little ones! Read about the benefits of yoga for toddlers and come to our class!